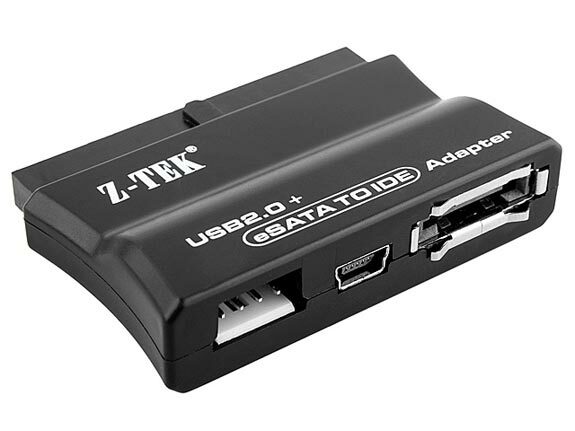 Here is a useful gadget if you want to connect some IDE hard drives to your PC via USB or eSATA, the USB + eSATA to IDE Adapter. 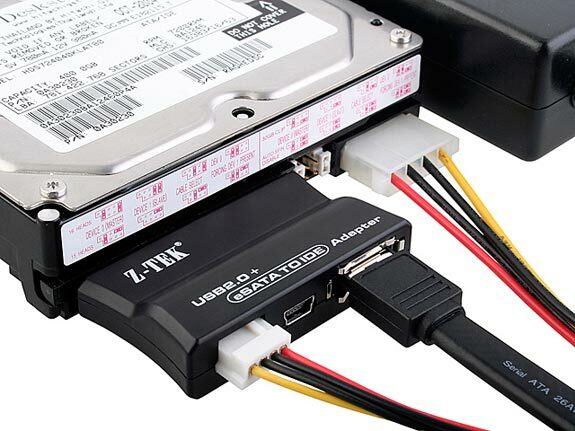 The USB + eSATA to IDE Adapter lets you connects any IDE device to a USB or eSATA port on your PC, and it will supports 3.5 inch hard drives, ATA, ATAPI CD-R/RW and DVD R/RW drives. 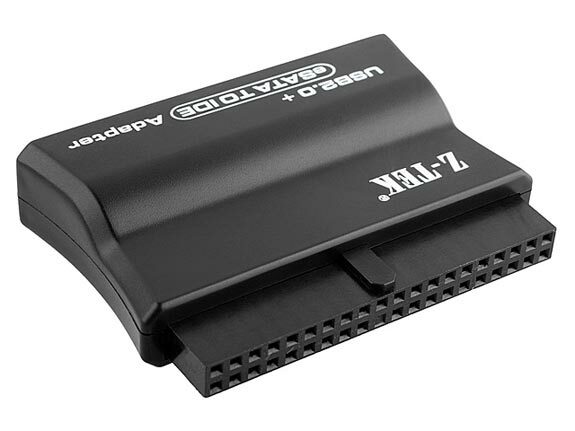 The USB + eSATA to IDE Adapter is available for $33 from Brando.